The Competition Commission of India(CCI), in Ministry of Agriculture and Farmers Welfare vs. M/s Mahyco Monsanto Biotech, has held that it is permissible for the Commission to issue directions to the Director General to look into the role of the persons in-charge of and responsible for the conduct of business of the companies, before returning the finding of contravention against the Companies as envisaged under Section 27 read with Section 48 of the Competition Act,2002. This order by CCI six member panel presided by its Chairperson Mr. Devender Kumar Sikri, is however, in apparent contradiction with the judgment of Competition Appellate Tribunalin A.N. Mohana Kurup and Others vs. Competition Commission of India. The commission has held it otherwise, referring to various judgments by the Apex Court and High courts under various statutes which have pari materia provisions to Section 48 of the Competition Act, where the company and its officer in-charge have been simultaneously prosecuted and convicted/ acquitted. The Commission gave the following reasons, dismissing the applications challenging simultaneous proceedings. 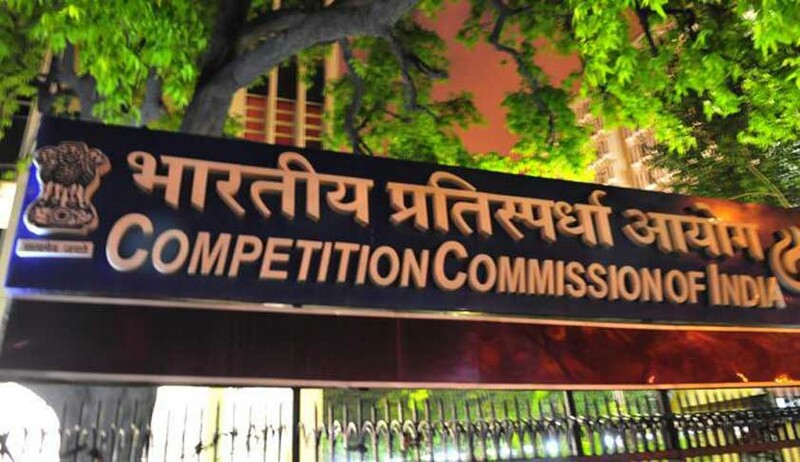 The commission has also referred to Delhi High Court judgment in Pran Mehra vs. CCI, wherein it was held that there cannot be two separate proceedings under Competition Act, in respect of the company and the key-persons. These are regulatory in nature and hence, need to be disposed of at the earliest so that the culprits are brought to book expeditiously and are prevented from causing further damage to market. Bringing a company to book and letting the persons behind the conduct of the company lose for some more time to continue to cause damage is not in the interest of competition in market. Act is a rule of reasoned law. It requires deep understanding of the facts and circumstances and what prompted a particular conduct. A particular conduct could be appreciated under one circumstance and deprecated under another, and two opposite conducts could invite the same outcome. For example, the competition authorities do not consider an unfair or discriminatory price by an enterprise illegal if it is adopted to meet competition. Such deep understanding is possible only if the persons, who were in-charge of the enterprise or who had a role in the conduct of a company at the relevant time, are allowed to explain that particular conduct at the appropriate stage so that the proceeding does not result in a false, negative for want of adequate reasoning outcome. It is important to note that in case of a false negative, one ends up deterring an efficient business, the cost of which is very high. One has to follow the principles of natural justice in disposal of such proceedings. In other words, no person can be condemned unheard. This is not rhetoric. This has to be followed in substance. This means that a person, who might be ultimately condemned, must have an effective opportunity to defend himself at the appropriate stage. If the proposition canvassed by the Applicants that a company is to be first held guilty of contravention of provisions of Sections 3 or 4, or both, of the Act, and only then investigation can be initiated against the persons who were in-charge of and responsible for the conduct of the business of the company at the relevant time, is accepted, it would render such person defenseless. This is most likely scenario, if the company is handicapped to defend itself. The company could be non-existent or could have become defunct. Or, the person who was in the know of things and had a role in a particular conduct of the company at the relevant time might have left the company. Or, the person who has in possession some material which demonstrates the non-contravention of the provisions of the Act by the company might be posted in some other department now and not involved in defending the company. If the company fails to defend itself properly for whatsoever reason, and as a consequence, it is found guilty, the person concerned would be left with no option but to suffer consequences under Section 48 of the Act. Since the liability of the company makes such person in-charge vicariously liable, such person must have an opportunity to contestat the very threshold and cannot be deprived of the opportunity to plead and demonstrate that the company itself is not liable at all. A company cannot be held guilty at the back of such person in-charge or anyone else who may be sought to be made vicariously liable under Section 48 (1) or (2) of the Act. This also follows from the plain language of the provisions of the Act. A proceeding under the Act has genesis in the investigation ordered under Section 26 (1) of the Act. The said Section envisages that the Commission shall direct the DG to cause an investigation to be made into the “matter”. There is no suffix, no prefix, no proviso, no explanation, and no caveats of any form attached to the word “matter”. Hence, it obviously means that the DG needs to investigate into the matter at one go in all its dimensions comprehensively. The said Section does not envisage either for the Commission or for the DG to investigate into the matter in phases, unless it is necessitated by circumstances. Whether or not an order under Section 26 (1) of the Act explicitly directs the DG to look into the role of any person in charge of and responsible for the conduct of business of the company under Section 48 of the Act, the DG is duty bound to look into the role of all persons behind the conduct of a company. Therefore, the provisions of Section 48 of the Act complement the provisions of Section 26 (1) of the Act.